It started with an invitation to be a part of a project that advocates health and wellness. As a mother, the health and welfare of my family comes first and an opportunity for a plant tour hosted by United Laboratories, Inc. (UNILAB) was something I didn't want to miss. This was not a typical out-of-town excursion. 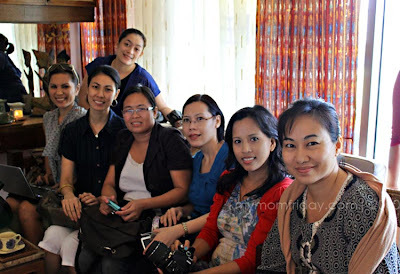 For a select group of mommy bloggers, Mom-Friday included, this unique day-tour was definitely a trip to remember. This is the first time that the lab was opened to a public tour. 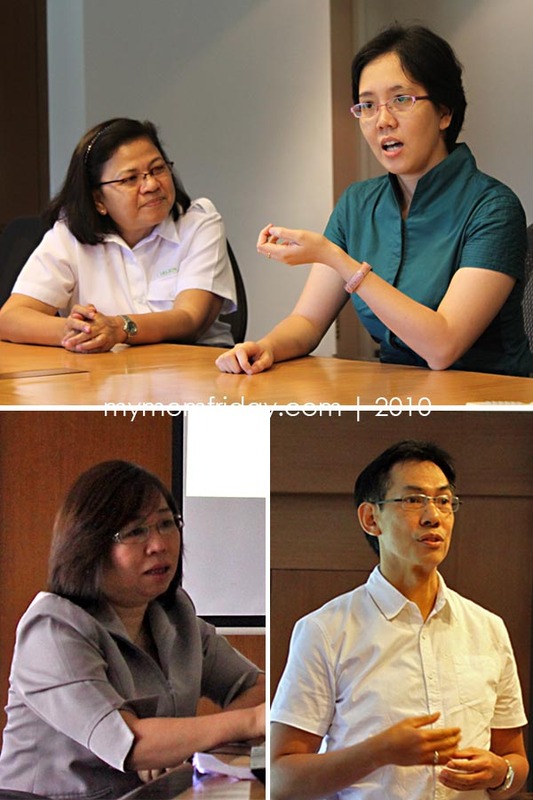 I was looking forward to joining other discerning moms on learning more about how some of our favorite health care products are made by Unilab, one of the top pharmaceutical companies in the country. Pick-up Time and Place: 7:00 a.m., Ortigas area. 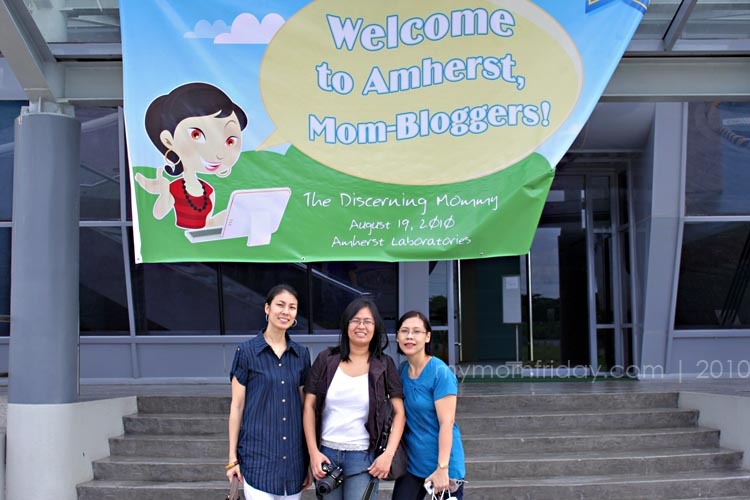 Mommies came in three batches, and ours, which includes mommy Pehpot, mommy Tetcha, and Steph (not in photo), arrived at Amherst Laboratories around 8:30 a.m. We were warmly welcomed by Unilab's Rochelle del Callar of Corporate Affairs, and representatives from their agency. As soon as we arrived, we were ushered in to the dining hall where a hearty spread of Filipino breakfast fare was waiting for us. I was already hungry then so I really enjoyed the fried rice with beef tapa (jerky), spicy chicken adobo (stew), embutido (meat loaf), and leche flan (custard flan)! After a full meal, we're all pumped up and ready to go. Everyone was led to the conference room where we were briefed on what to expect on this tour by Amherst Plant Director, Ms. Adi de Leon, who's been with the company for more than 30 years! Meanwhile, Mr. Jack Orendain, Corporate Affairs Senior Manager, gave the welcome remarks as he explained what The Discerning Mommy Advocacy is all about. Our lovely moderator for that day, celebrity sportscaster-mom Ms. Patricia Hizon, led the ice-breaker as each one got to introduce the person in front of us. It was a fun way of getting to know each other and a good warm up as we moved on to a very informative presentation by Dr. Lourdes Genuino of Unilab's Medical Affairs Division. She explained the many ways on how we can develop healthy choices for our families. Ms. Adi de Leon then showed slides of what's inside Amherst Lab, specifically the restricted areas. She was so animated and jovial while sharing the ins and outs of the production process which clearly showed how dedicated and happy she was with her role in Unilab's state-of-the-art manufacturing facility. Ladies in a row, all dressed and ready for the walk-through. Thorough washing and drying of hands are a must. The high-tech facility was amazingly spotless! Amherst Laboratories is the only one of its kind in Asia, having the GMP (Good Manufacturing Practice) seal, and likewise earning the European Union GMP certification last July 2009. With this, the plant can now export Unilab products to Europe. Having the seals of manufacturing excellence, the public is assured that the health care products have passed through a very strict and meticulous process, from sourcing quality raw materials even up to the colors of the final products. Final stop of the tour was at the next building where crates and boxes of Unilab products were being held and ready for distribution. We also found ourselves in awe of the fully-automated machines and huge self-cleaning "drums" where thousands of gallons of my kids' favorite vitamin Ceelin is mixed and monitored. Our very educational tour of Amherst Lab ended minutes past noon. 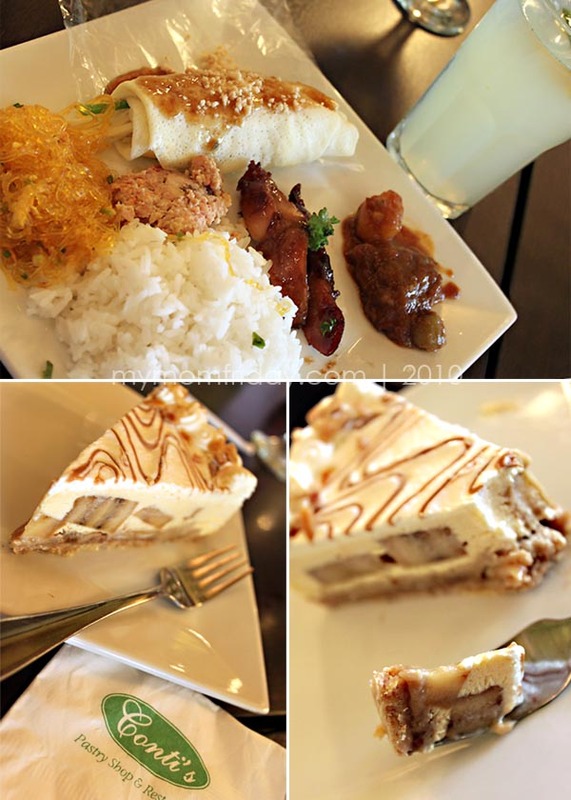 We were then treated to a buffet lunch at Conti's in Solenad, Nuvali. Here's my plate of sotanghon noodles, fresh lumpiang ubod, chicken teriyaki, beef caldereta and embutido, with rice, downed with bottomless lemonade. And let's not forget dessert -- a slice of this creamy, scrumptious torte, Bananalicious. If not for the scheduled massage, I would have asked for another slice! As if the tour and lunch were not enough, our "health day" was capped off by an hour of pampering at Indulgence Day Spa, also in Solenad. Entering the spa was already invigorating with the smell of mint in the air. 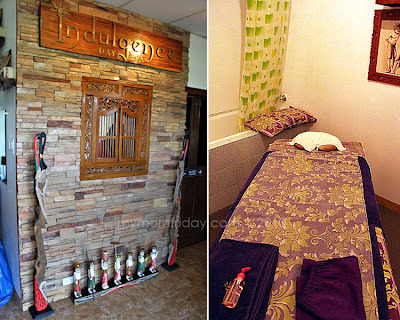 In our own private room, each of us was treated to a relaxing full body Balinese massage -- a mix of Shiatsu, Swedish and body stretching. Ahh...what a day!!! 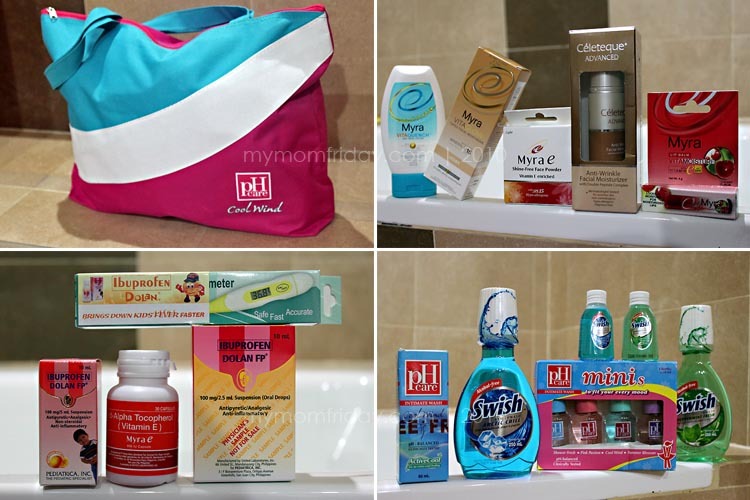 Unilab was also generous to give everybody a gift bag full of assorted health and beauty products! Love it! As soon as I took out the items from the bag, the girl immediately recognized and grabbed the big bottles of alcohol-free Swish mouthwash -- "blue for me, green for a-hia (big brother)"! I am very thankful to be a part of the privileged few to tour this world-class facility. It truly helped knowing that many of the products I choose to give my family are made by Unilab. Seeing IS believing, and their commitment to providing superior quality healthcare products is enough assurance for me. 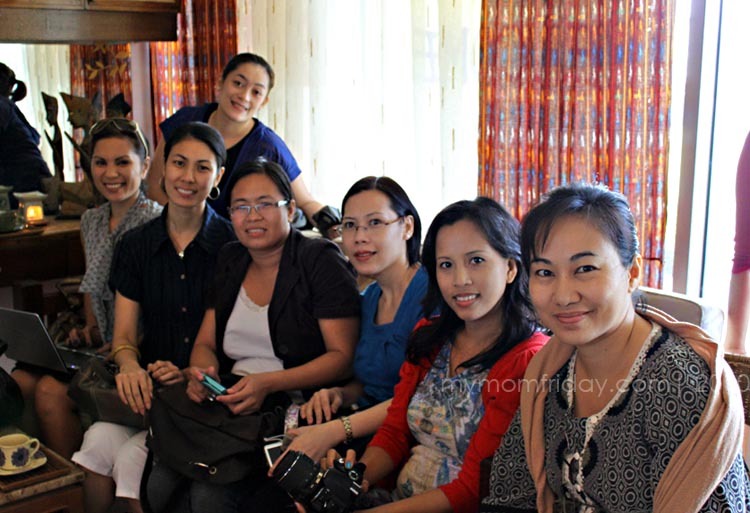 With this initiative, I appreciated how Unilab recognizes the role of mothers as the primary decision makers in terms of the health and wellness of the family. With the many choices that moms are presented everyday, it is essential that we know the products are safe, effective, and made by reputable companies that we can trust. You can view the photo gallery of our health day here, and take a peek inside the world-class Amherst Lab. Get updates on the latest health care products and tips by following Unilab on Facebook and on Twitter. Un-watermarked photos of Amherst Lab tour courtesy of Unilab and TribalDDB.